SOS Children's Village Guatemala City (previously known as SOS Children’s Village San Cristóbal) is in an area called San Cristóbal, just ten km west of the capital city. Guatemala continues to struggle with high levels of poverty and social exclusion, particularly amongst its indigenous population. Children from underprivileged backgrounds, single mothers or very young parents often have great difficulty escaping the poverty trap and urgently need support. Since the mid-seventies, San Cristóbal has grown spectacularly as major housing projects have been carried out: today, the city has a population of around 150,000. Guatemala City itself has over 1.4 million inhabitants. The official languages of the department are Spanish, as well as the Mayan languages Pocomam and Kakchikel. Although most people are bilingual, illiteracy remains high amongst the indigenous population, particularly for women. In rural areas, illiteracy amongst indigenous women can be as high as 90 per cent. This means that they are excluded from economic, social and political processes, and the cycle of poverty is perpetuated. In fact, up to 74 per cent of the indigenous population are estimated to live in conditions of poverty in Guatemala Department. Guatemala ranks well below the Central American regional average in terms of the Human Development Index, which takes into account health, education and income. High rates of poverty mean that child labour, too, continues to be a serious problem, with around one fifth – over 500,000 in total – of children between the ages of seven and 14 working. Labour activities interfere with education and, although around 80 per cent of children attend primary school, only 65 per cent finish it and only around 24 per cent attend secondary school. 18 per cent of girls get married between the ages of 15 and 19. When these young women have not completed education, they can find it very hard to provide for their children. 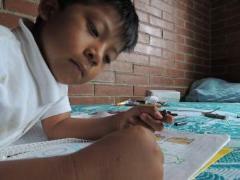 Malnutrition is one of the most severe problems, affecting 49 per cent of children in Guatemala today. 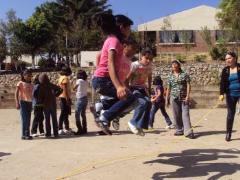 SOS Children’s Villages began its work in Guatemala City in 1996. Care in families: For children in and around Guatemala City who are no longer able to live with their families of origin, SOS families can provide a loving home. In each family, they live with their brothers and sisters and are affectionately cared for by their SOS parent. The children attend local schools and are therefore very much integrated into the local community. Support for young people: When young people from the children’s village are ready to move out of the family home in order to pursue further education or vocational training, SOS Children’s Villages provides shared accommodation. With the support of qualified counsellors, the young people learn to take responsibility, plan their future and prepare for independent adult life.